As per the recent NIRT notification 2018, the eligibility details like Educational Qualification & Age Limit for the Technician job has given below. 12th or Intermediate pass in Science subjects with 55% marks and at least one year Diploma in relevant field such as Diploma in Medical Radio Diagnostic Technology from Govt. recognised institution. 12th or Intermediate pass with 55% marks and at least one year ITI Certificate in Diesel Mechanic / Motor Mechanic Vehicle recognized by NCVT/ SCVT from Govt. recognised institution. 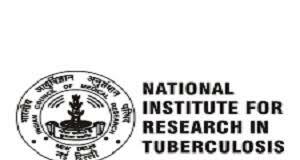 Director, National Institute for Research in Tuberculosis payable at Chennai. How to apply Recruitment for NIRT Technician Job? Step 7: Application form may be downloaded from the websites www.icmr.nic.in, www.nirt.res.in and submit along with supporting certificates and testimonials duly attested by self, should reach to the Director-in-Charge, National Institute for Research in Tuberculosis, No.1 Mayor Sathyamoorthy Road, Chetpet, Chennai- 600031 within 45 days from the date of publication of this advertisement in EMPLOYMENT NEWS, super-scribing the envelope with “Application for the post of TECHNICIAN (1)……………………………….”.